The Villa was a bit on the small side especially the swimming pool , but it was in a lovely complex. But we didn't think it was very well equipped for staying there for a couple of weeks, we had to buy some kitchen equipment and clean the outdoor grill , but the owner did give us the money we spent . Also couldn't use the pool because the Heater was broken. "We had a wonderful stay in this lovely villa. The villa is located within the Solabre golf complex. The view from the villa takes in mountains and the sea towards Maspalomas. Easy access just off the main GC1 motorway giving you quick access to the rest of the island. The owner was very helpful and communication from him was excellent. The Villa was beautiful and was very clean and fresh. 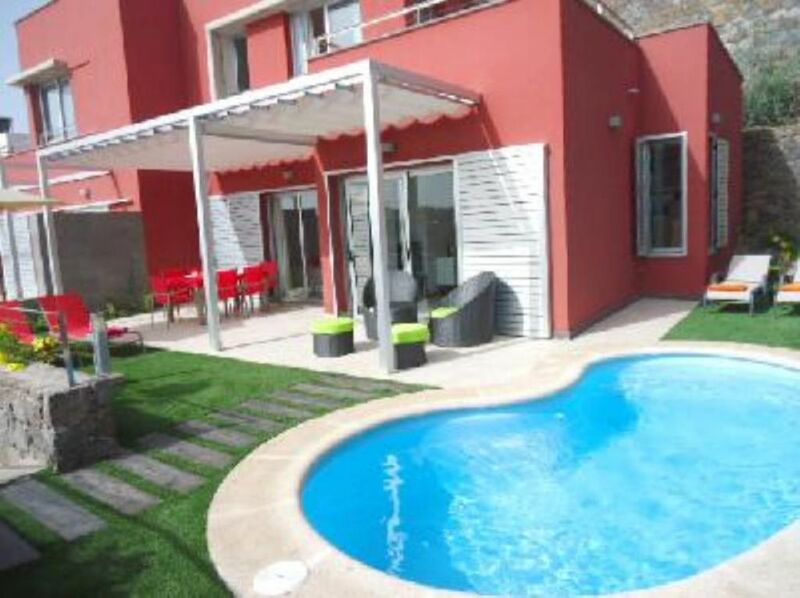 The private pool was a lovely addition to this lovely villa.I would not hesitate to recommend this villa. We are already in contact with the owner about visiting again." "Perfect place, we loved it. Clean, all facilities available; well equipped and a very nicely decorated. The swimming pool is heated with was very comfortable in feb. and we enjoyed the salt water! It is in a golf area, nice view, luxurious surrounding. There is still construction going on, although not very close to the house. Buscaba tranquilidad, descanso y ha estado acertado. Nous avons donc passé un très agréable séjour. Le seul point négatif est que la piscine est à l''ombre l''après midi (séjour en novembre)"
"Home is beauty, clean and quite, Owners are very friendly. All OK!"